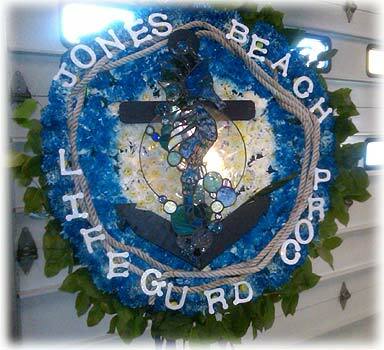 Important message from Tom Donovan, President: It is with deep sadness that we mourn the untimely passing of Jones Beach Field 6 Boatswain Chad Lundwall. 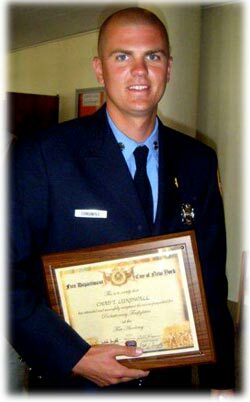 Chad, a member of the FDNY, was the son of Paul & Lynn Lundwall, and brother to lifeguards Britt & Kimberly. 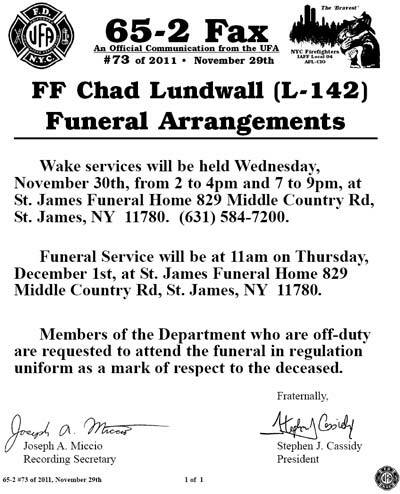 Chad was with friends and fellow lifeguards at the Jets Football game on Sunday when he passed away suddenly. I know I speak for all when I say that we are so distressed by this news, and feel so deeply for the Lundwall's and their loss. Words, of course, cannot express the feelings and emotion that exist with this loss. I knew Chad growing up at the beach. Chad was polite, well spoken, a talented athlete and always such a positive person. He fully reflected the love that his parents and sisters shared with him. All of his friends and co-workers will miss him. A Service will be held at the St. James Funeral Home on Thursday, December 1st, at 11am. Please join the Jones Beach Lifeguard Corps, the NYS Lifeguard Corps, the FDNY, and the Lundwall family, at the St. James Fire Department (Rt. 25A & Lake Ave) immediately following the 11 am service on Thursday.